Fundraiser for Special Olympics. Hosted by Goose Valley Fire Department. Organized by Sheridan County Sheriff's Office deputy Boot Hill. 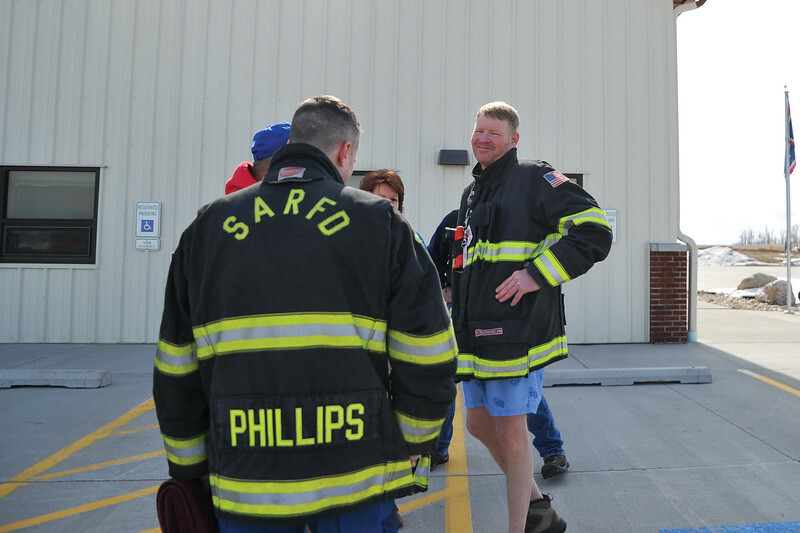 Pat Tarver shows his festive spirit ahead of the Jackalope Jump at Goose Valley Fire Department Saturday, March 17, 2018. 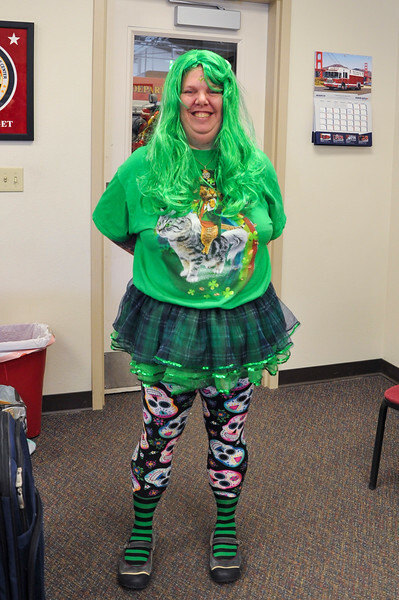 A member of the organization crew for the Jackalope Jump shows her festive spirit Saturday, March 17, 2018. 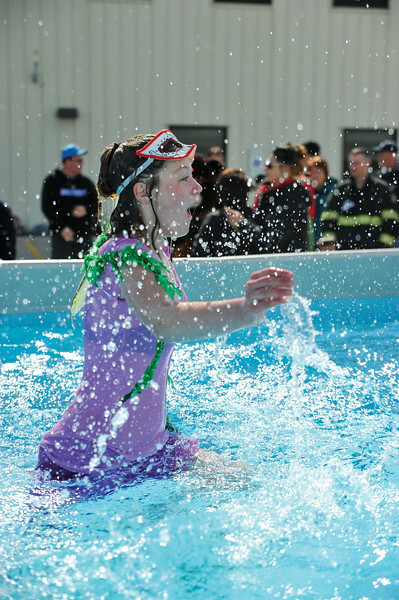 The event broke its record, raising nearly $8,700 for local Special Olympics teams. 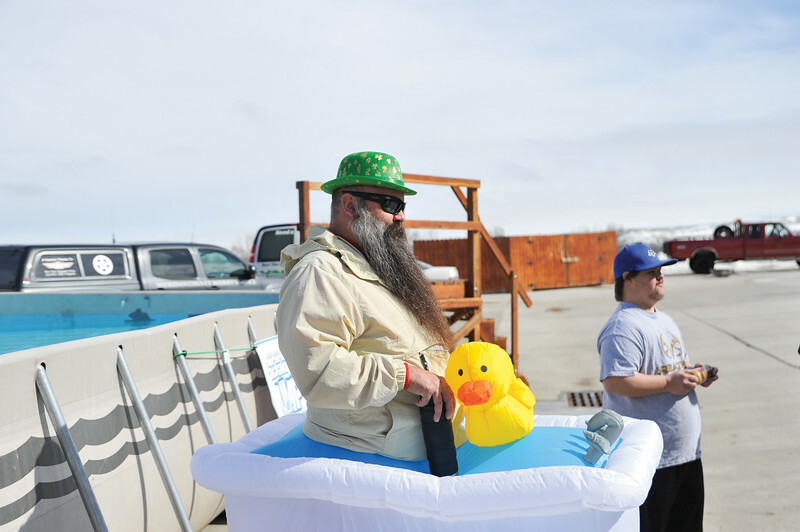 Goose Valley Fire Department volunteer Justin Johnston poses before jumping into the pool for the Jackalope Jump Saturday, March 17, 2018. Goose Valley hosts and helps contribute to the jump. 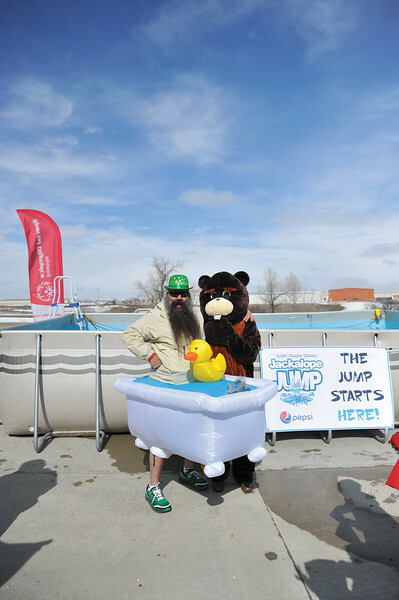 Pat Tarver poses with one of the Special Olympics mascots, a beaver, at the Jackalope Jump Saturday, March 17, 2018. Participants raised $8,700 for local Special Olympics teams through the event. 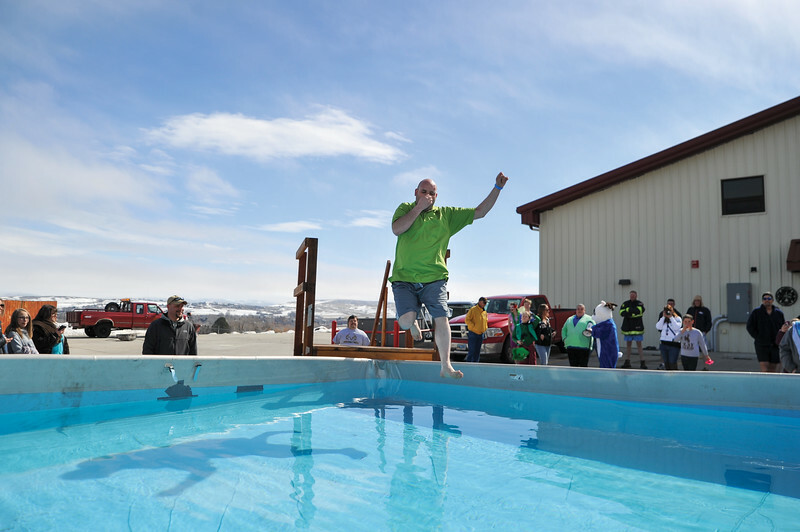 Doug Williams, an athlete with the Easter Seals Special Olympics team in Sheridan, was the first to jump into the icy waters of the pool for the Jackalope Jump at Goose Valley Fire Department Saturday, March 17, 2018. Williams raised $1,400 for local teams. 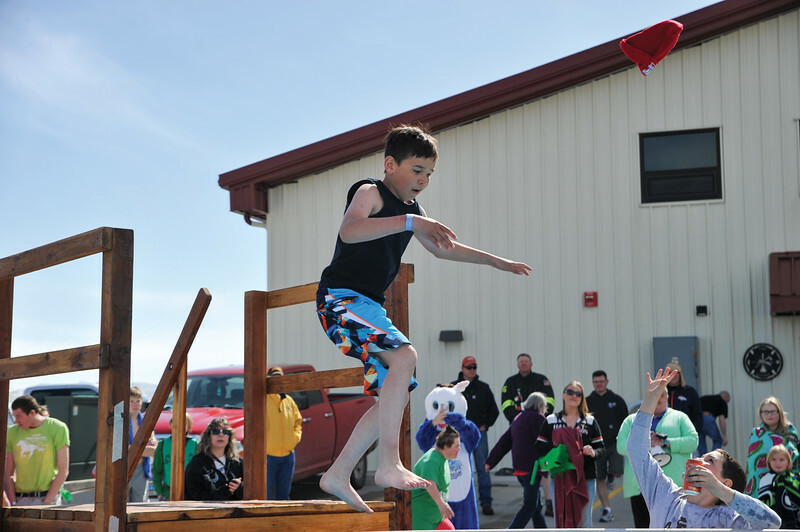 Allen Mayzak jumps into the pool for the Jackalope Jump at Goose Valley Fire Department Saturday, March 17, 2018. Mayzak earned second for top fundraising efforts for local Special Olympics teams. 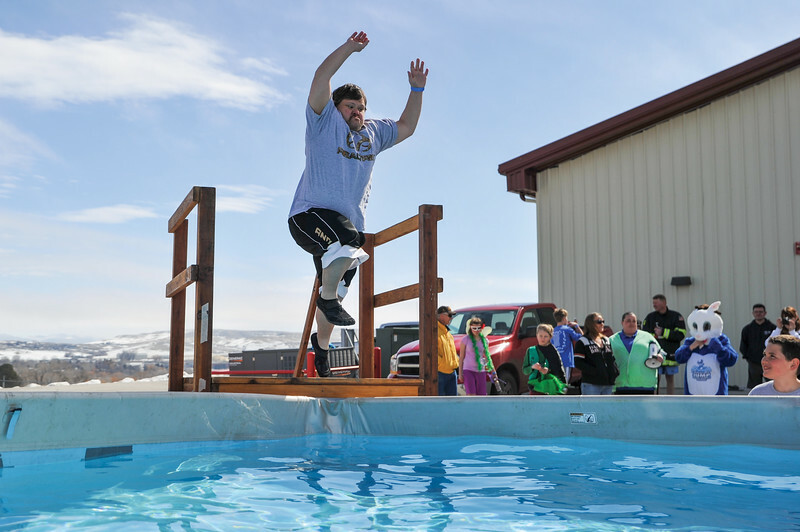 Representatives for the Masters Special Olympics team jump into the icy waters of the pool for the Jackalope Jump at Goose Valley Fire Department Saturday, March 17, 2018. 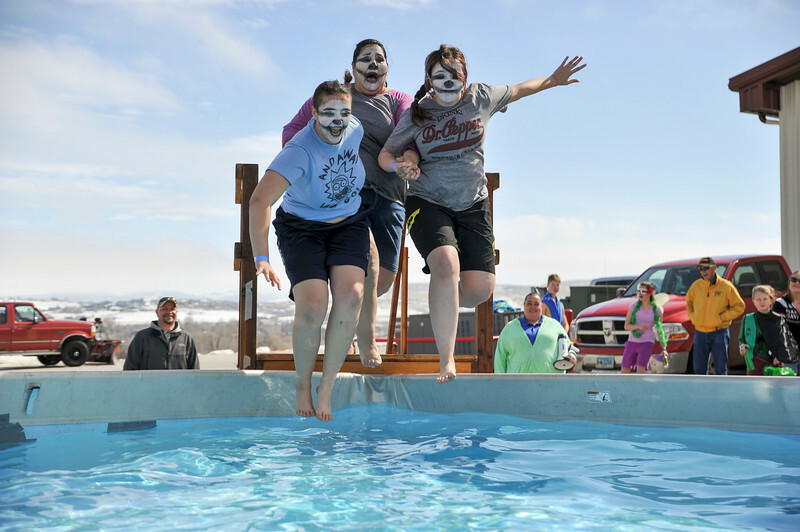 RENEW community liasion Leita Rolfe prepares to jump in the pool at the Jackalope Jump Saturday, March 17, 2018. The event raised nearly $8,700 for local Special Olympics teams. 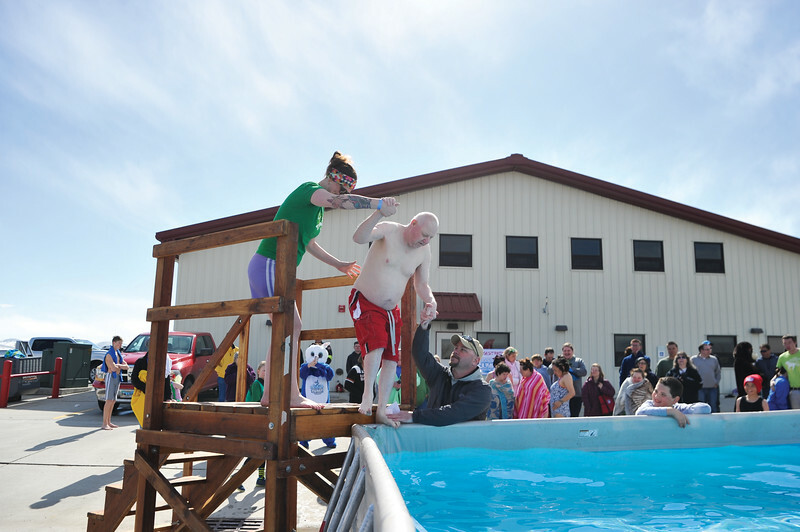 RENEW community liasion Leita Rolfe helps RENEW member Russell Robb into the pool at the Jackalope Jump Saturday, March 17, 2018. The event raised nearly $8,700 for local Special Olympics teams. 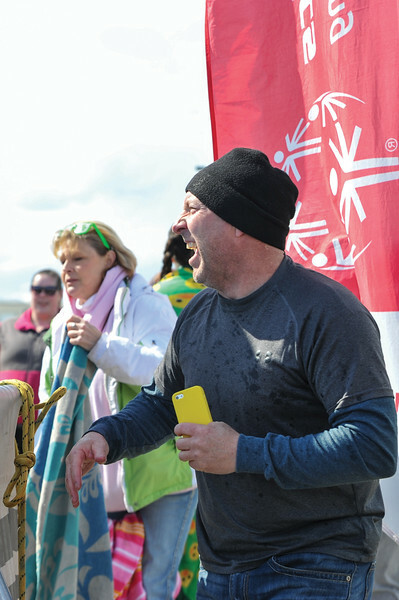 Sheridan County Sheriff Allen Thompson helps RENEW Special Olympics team member Russell Robb across the pool during the Jackalope Jump Saturday, March 17, 2018. 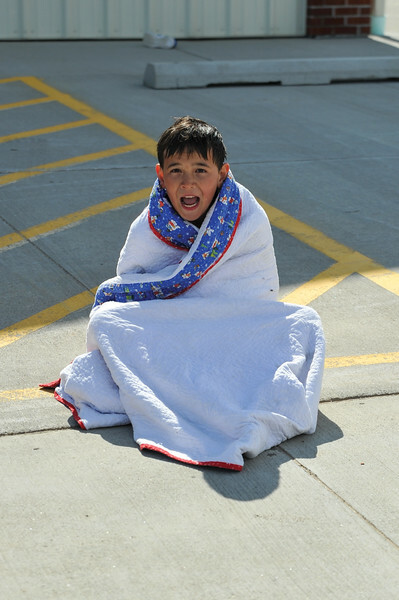 The Sheridan County Sheriff’s Office helps organize the event each year. 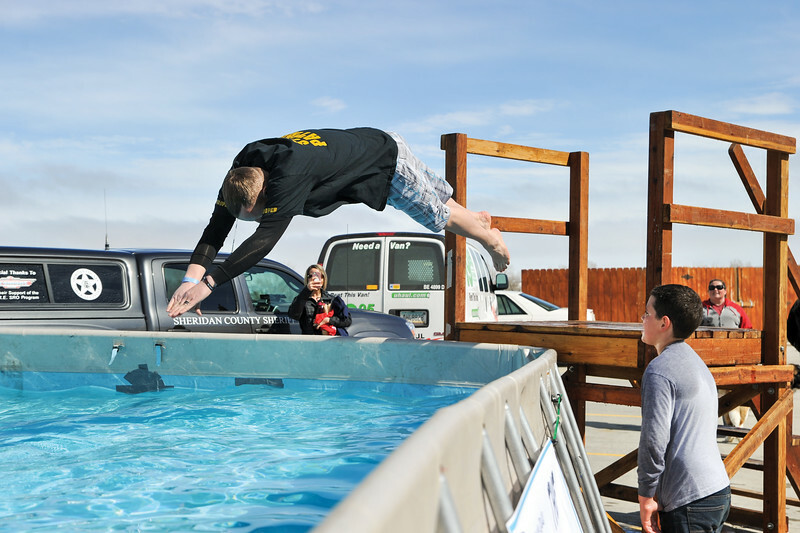 First-time jumper Jory Githens throws out a beanie before taking the plunge at the Jackalope Jump Saturday, March 17, 2018. Githens, representing the Masters Special Olympics team, jumped for his first time Saturday. Sheridan County Sheriff’s Office deputy Boot Hill laughs with a Jackalope Jump participant Saturday, March 17, 2018. Hill heads up the organization of the event each year to raise money for local Special Olympics teams. Daelynn Curdt flies off the platform at the Jackalope Jump Saturday, March 17, 2018. Curdt dressed for the occasion and jumped for the Masters Special Olympics team. 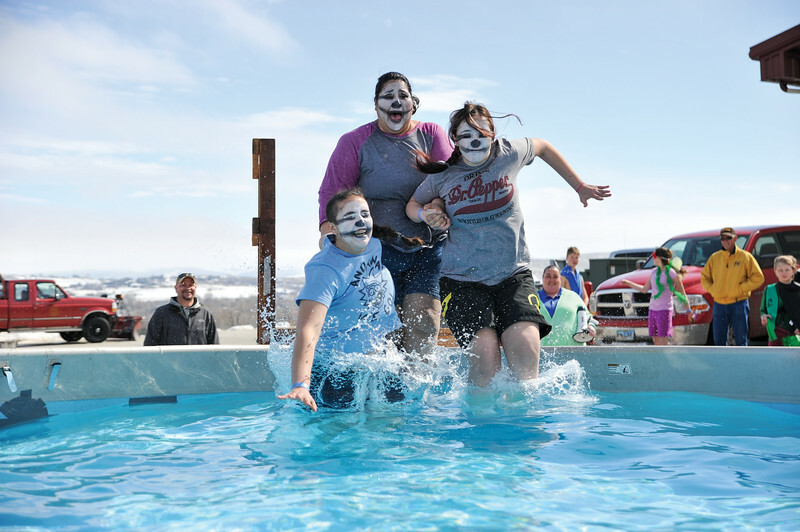 Daelynn Curdt reacts to the icy waters at the Jackalope Jump Saturday, March 17, 2018. Curdt dressed for the occasion and jumped for the Masters Special Olympics team. First-time jumper Jory Githens warms up in the sunshine after jumping into icy waters at the Jackalope Jump Saturday, March 17, 2018. Githens, representing the Masters Special Olympics team, jumped for his first time Saturday. 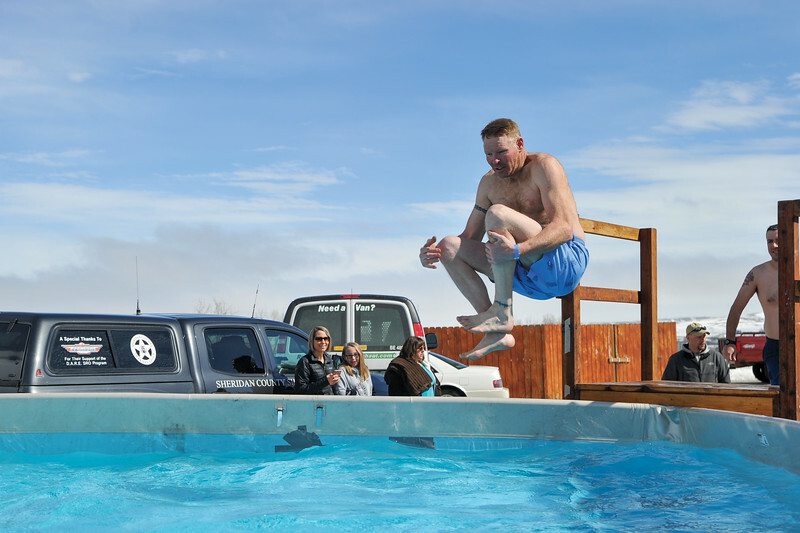 Goose Valley Fire Department volunteer Justin Johnston cannonballs into the icy waters at the Jackalope Jump Saturday, March 17, 2018. GVFD hosts the event each year. 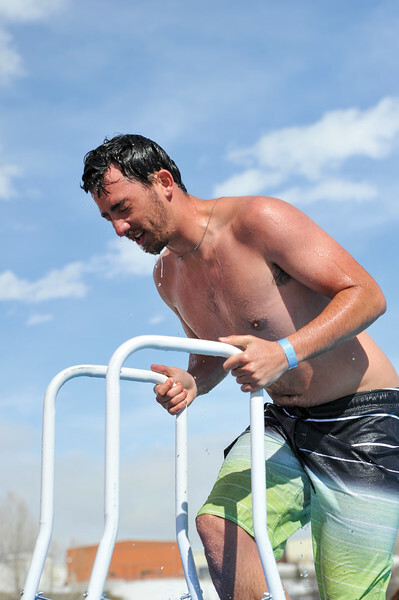 Ty Fauber, a volunteer with Goose Valley Fire Department, reacts to the cold water after jumping at the Jackalope Jump Saturday, March 17, 2018. GVFD hosts the jump each year. 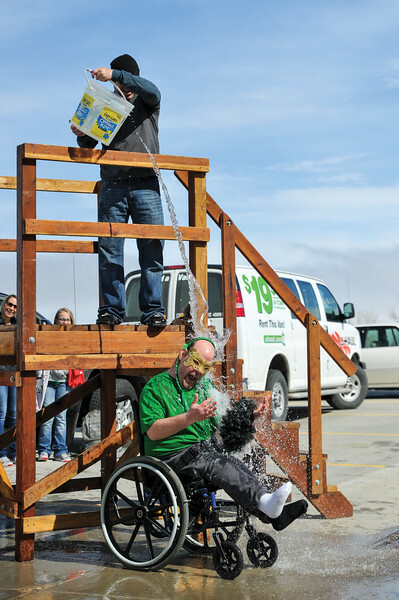 Jeff Mock, a Special Olympics athlete for the Masters team receives an icy dousing by Sheridan County Sheriff’s Office deputy Boot Hill at the Jackalope Jump Saturday, March 17, 2018. The organization raised close to $8,700, breaking the record for fundraising. Wyoming Highway Patrol Captain Jason Green dives into the icy waters at the Jackalope Jump Saturday, March 17, 2018. 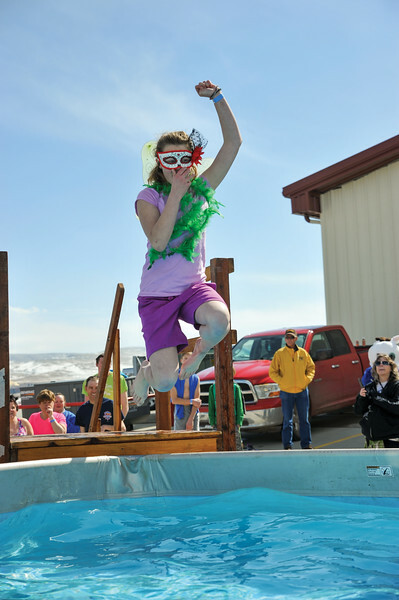 The jump raises funds for local Special Olympics teams each year. 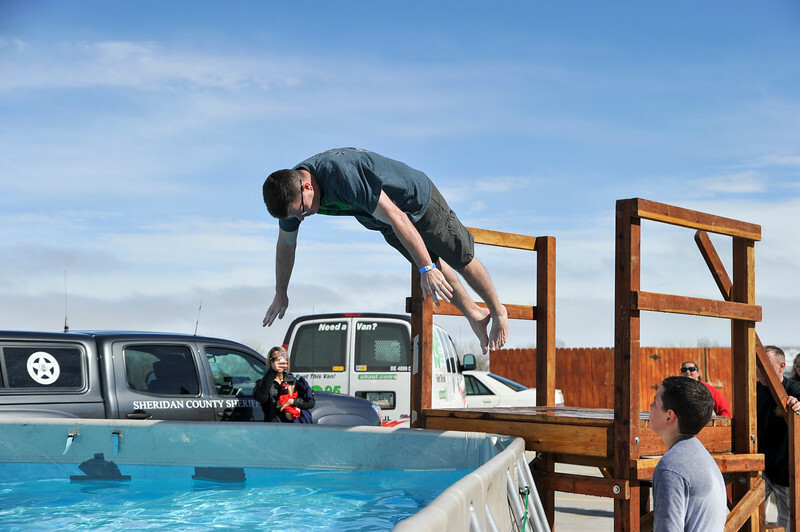 Wyoming Highway Patrol Lt. Erik Jorgensen dives into the water for the Jackalope Jump Saturday, March 17, 2018. 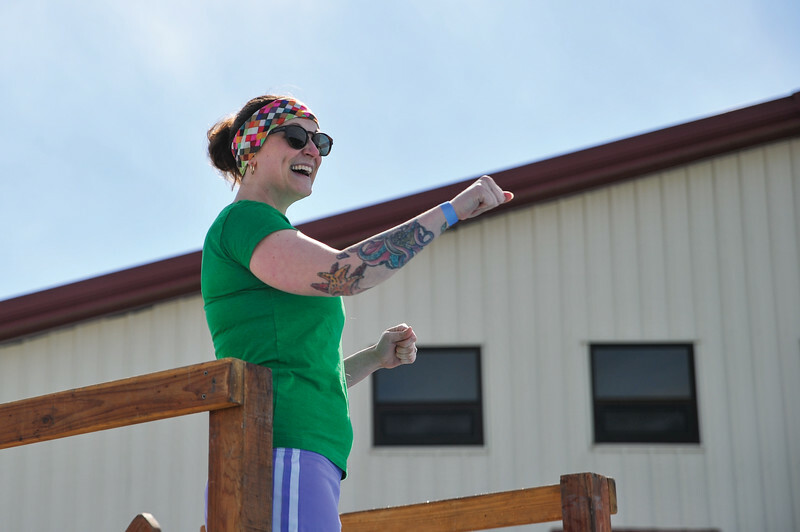 The jump raises funds for local Special Olympics teams each year.